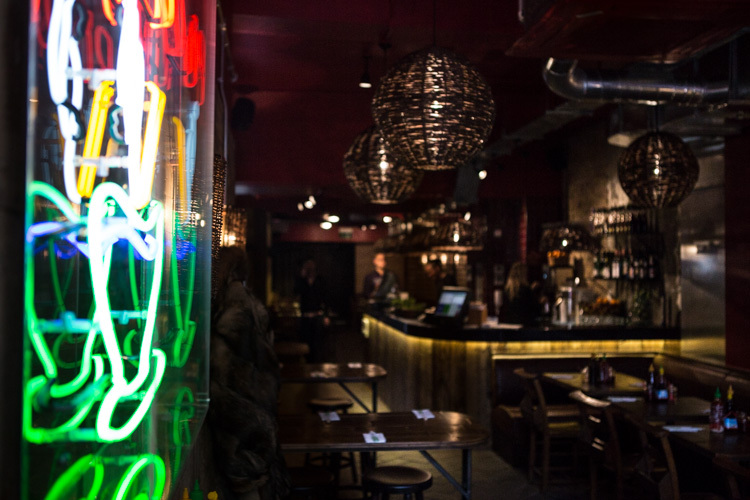 The Good: Stylish interior, great fresh flavours, attentive staff. "Pho to go" take-out option. 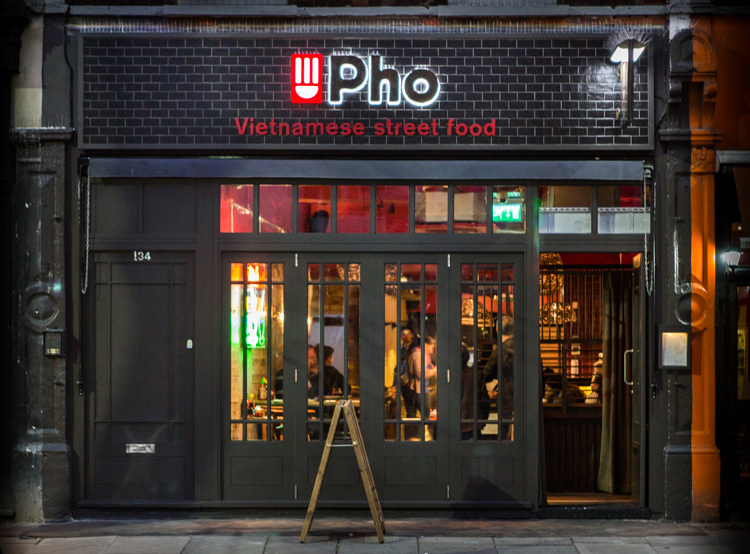 Pho took a pretty brave decision opening towards the slightly more sleepy east-side of Chiswick High Road. Sure, it’s not the ever-doomed “far eastern” strip of boarded-up old newsagents, Frankie’s/Bardolino’s/Brick Oven, and failed nightclubs (remember Revolution, anyone?) near Goldhawk Road, but still – as they say – East is East. What can I say? As an East-ender myself*, it looks very much like the mainstream is moving my way, so I’m delighted by this news. *I mean, East-end of the High Road. I try not to venture beyond there. I went to Shoreditch a month ago. Awful. I digress. 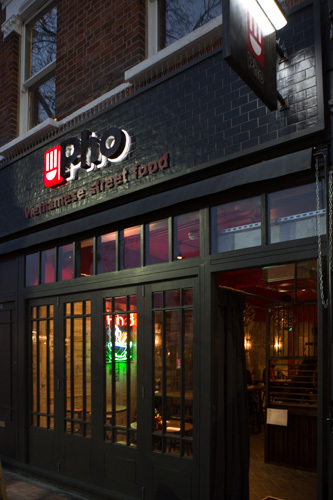 Actually it’s only a couple of doors down from Franco Manca, so if Pho get the service right – by which I mean consistent, enthusiastic, and friendly recognition – then the Chiswick crowd will keep coming back for more as they do to the excellent FM. I’ve no doubt I will. I’m a bit of a chain-denier. The thought of giving my business to Tesco and Starbucks makes me cringe. There’s something about a chain when it gets too big for its boots, when the guy who started the concept is long gone and it’s run by suits, or worse – still alive but never even attends his own store openings any more – something about a chain I hate. 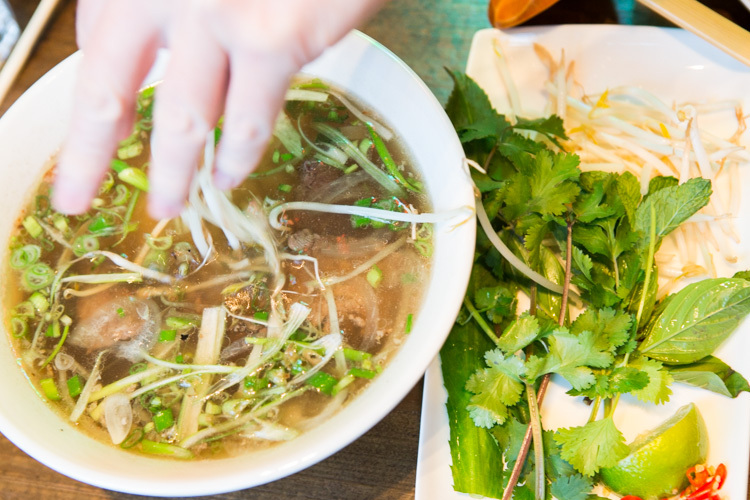 Well Pho is a chain, but it’s small enough at the moment to have that sense of “love” behind each restaurant. 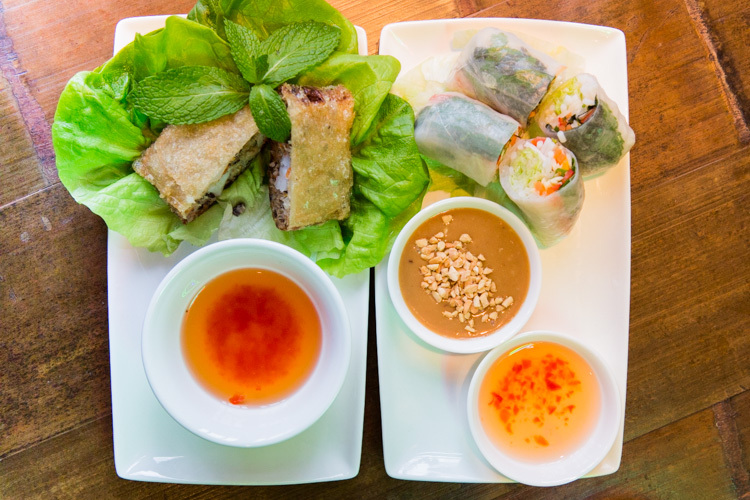 Sure, there’s a business process, a formula, but you get the sense that Stephen Wall (co-founder) who opened his first Vietnamese restaurant in Clerkenwell 9 years ago still cares passionately about putting out great food to the masses. It became clear after only a few minutes of chatting with Stephen that his new Chiswick restaurant has certainly been a personal labour of love. To start we had two of the four cocktails on the menu. The crispy spring rolls, on the other hand, were wonderful. 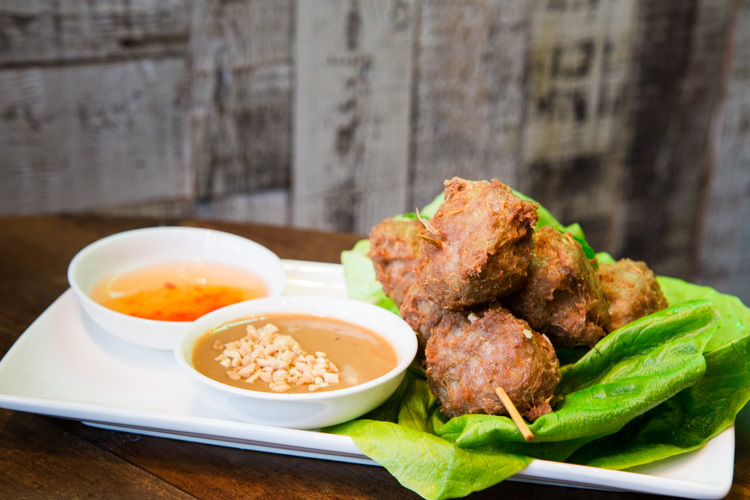 Non-greasy and packed with tiger prawns, crab, and pork, served with the mouth-watering nouc cham dipping sauce. 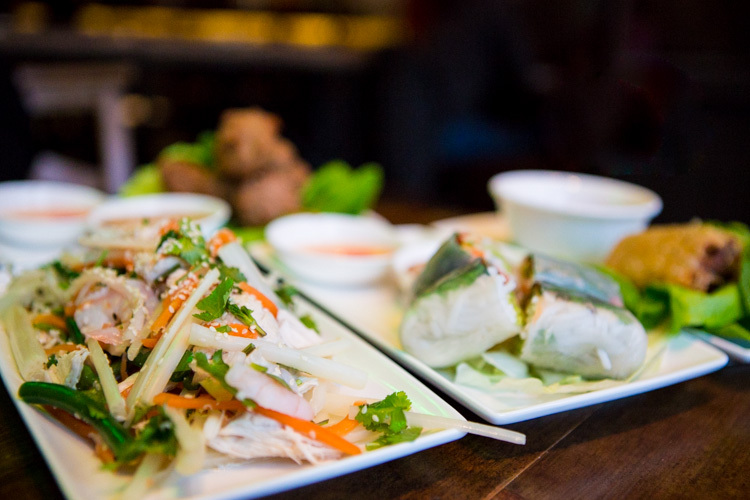 Nem Hai San pictured below, leftmost dish. 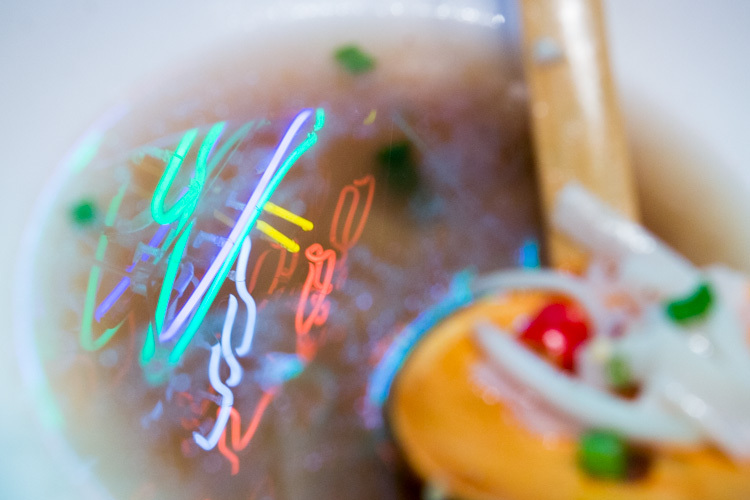 Above: the glorious neon sign which gives Pho a really inviting look from the street, Men Hai San (crispy spring rolls), and vegetable summer rolls. 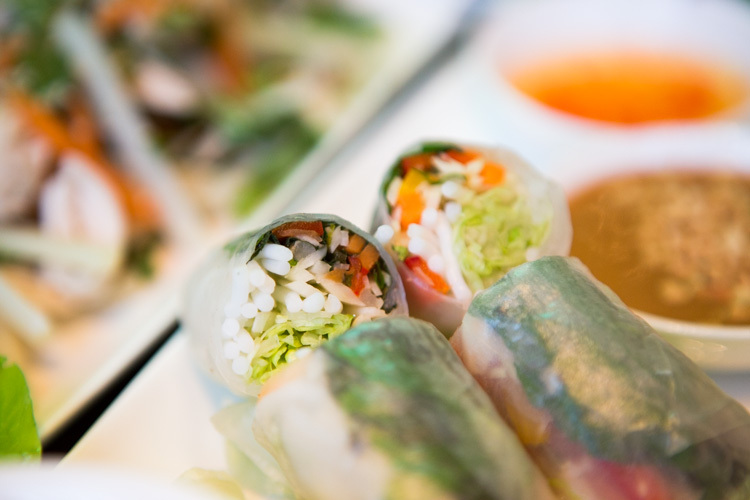 Pictured below are the vegetable summer rolls. Veggies were a little cabbagey and carrotty which makes for a great texture in the roll but a little flavour-shy; definitely ones for the peanut dipping sauce supplied generously! Next time I will definitely go for the prawn option which I’ve had before and is gorgeous. Moving on to my personal favourite dish of the day. 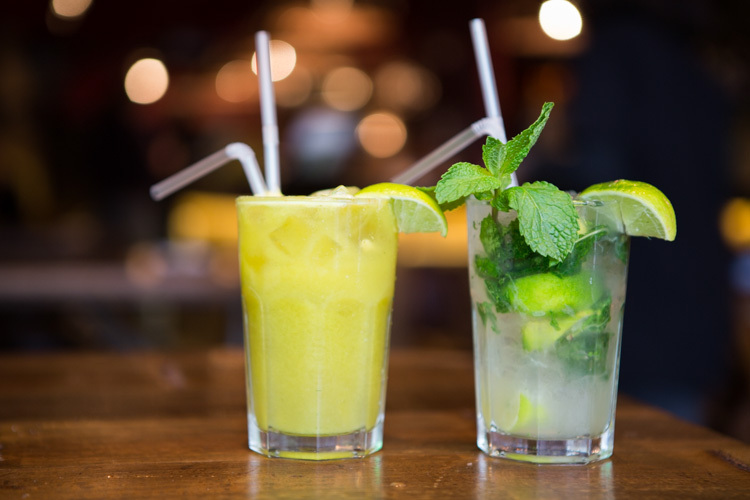 Light, zesty, limey goodness. 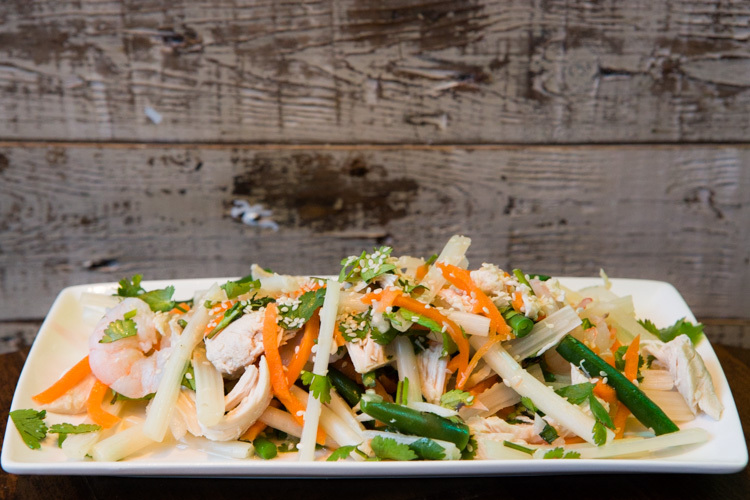 The Goi Ngo Sen Salad, pictured in 2 photos below: a generous amount of tangy lotus stems with chicken, prawns, green bean and sesame seeds. All in all I’m a real fan of Pho and the newly-opened Chiswick restaurant is a treat for the senses. 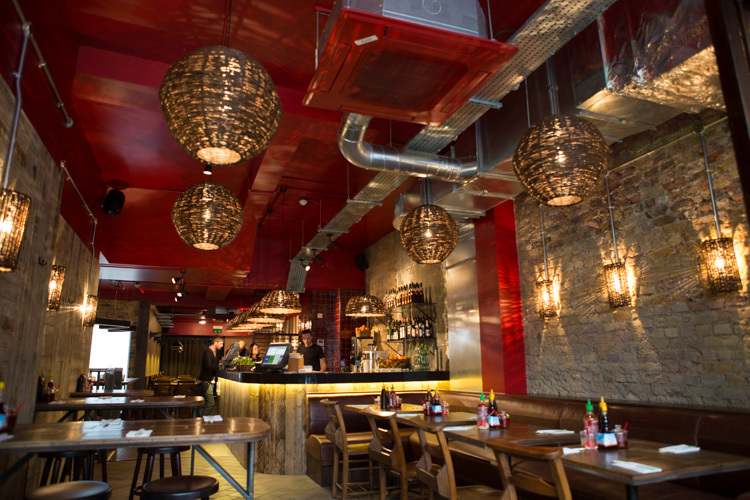 The one minor criticism I have is the music playlist which, although it doesn’t detract too much from the gorgeous ambiance of the restaurant’s interior, it may be the one bit of the Pho concept that may not suit Chiswickians. It’s quite a varied playlist, but the ambient end of that spectrum was far more welcome than the more distracting dancey music that came on from time to time. Above: the shop front. I challenge you to find a more classy and inviting shop front on our lovely High Road! 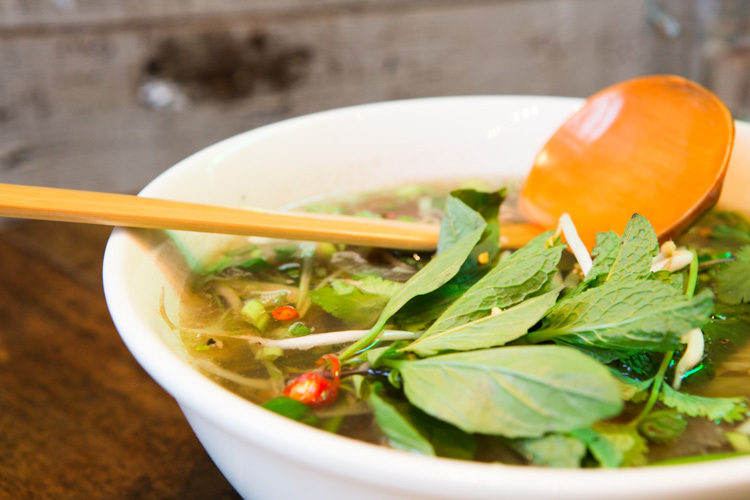 The Pho formula is brilliant and you cannot fault it. For a restaurant which prefers to be called a “cafe” and claims to serve street food, it must be said that the dining experience and quality of food for price gets 10 out of 10 in my book. 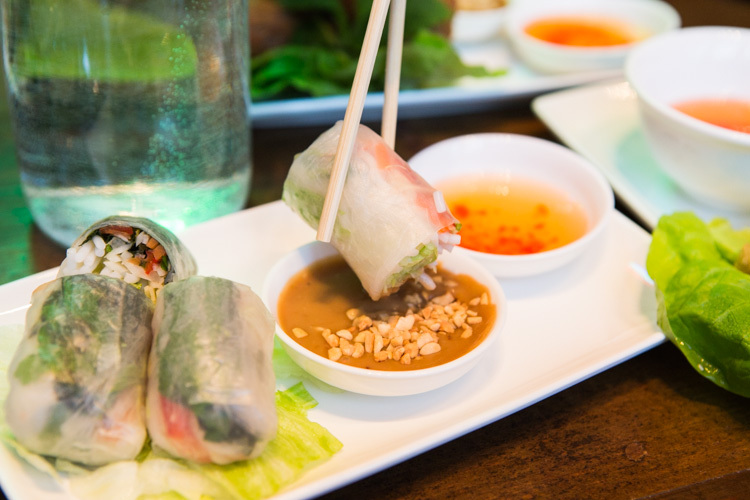 There’s always a waiter checking that the large bottle of water you are given at the start of your meal is not depleted, not to mention we never ran out of dipping sauce – this seems core to the Pho concept. 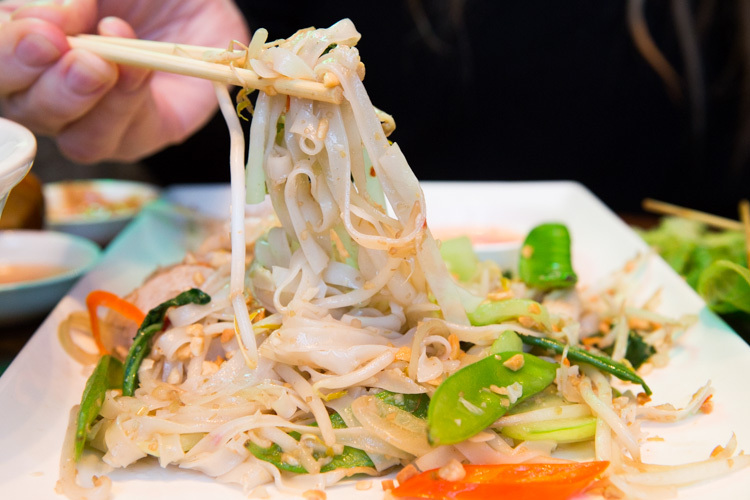 Of course, it will never objectively compare to the dining experience at, say, Saigon Saigon down the road, but as a street food restaurant Pho will win my custom every time! A welcome addition to our High Road. Great review. So much so that we dashed down there tonight and tried it out. A very welcome addition to the High Road. It’ll do very, very well. 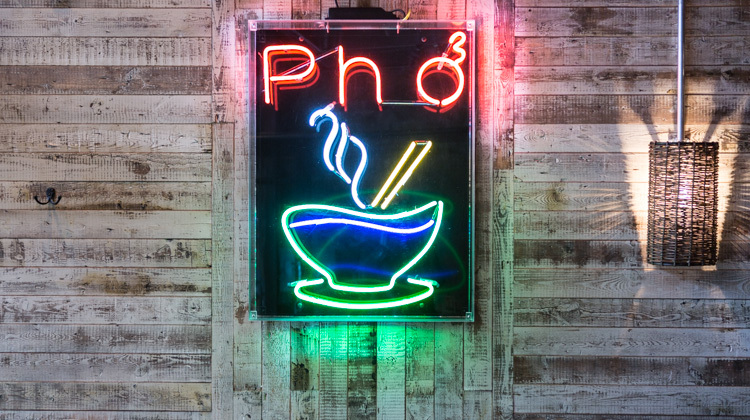 I’ve been to other Pho restaurants but haven’t tried the one in Chiswick. It’s all about the broth!